Today is October 16th. I’ve not failed at Stoptober, I’ve just had a very slow start. I had my last fag at noon on 12th October. I stubbed it out and promptly slapped on a nicotine patch. It’s a 16mg patch and it is helping me cope. I’m having insane cravings and could cheerfully smoke an entire pack in one sitting. I won’t though, I’ve come this far and I know from giving up the last time that the first week is the hardest and it does get easier. I’m strong, motivated and determined so I know I’ll crack it. It helps that literally no one smokes these days and that winter is coming. There’s nothing more motivational than shivering in gale force freezing winds, sucking on a damp fag. There’s nothing more motivational than not having breath like Fag Ash Lil. There’s nothing more motivational than extra pennies in your purse. Apart from the dreadful cravings, there’s nothing bad about giving up. It’s all good. Everyone has triggers, times when things happen or they’re in situations that trigger the cravings. My triggers are going to the pub and feeling stressed. I threw myself in at the deep end, and on day 2 of being smoke free I went for a very boozy night out with friends. Didn’t smoke, wanted to, but there was no one in our group I could bum one off, so I stuck a brave face on and had a great time. I’ve had another rough few days, so many hospital appointments, so many questions about my mental health and if I’m a danger to myself and others (fear not, I’m no danger to anyone). After each appointment I’ve been desperate to spark one up. I didn’t though. I had some sugar-free chewing gum and viciously rubbed my nicotine patch, hoping it would send some more of my current favourite drug coursing through my system. I’m really proud of coming this far and I know I’ll do it. Once I get through the first few weeks with their intense cravings I’ll start thinking about dropping the patch. But baby steps first. Let’s not get ahead of ourselves shall we. 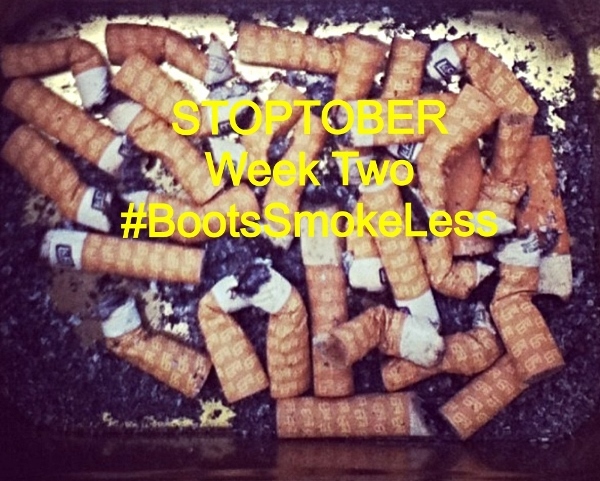 Please do follow my journey, I’ll be writing a weekly update on my progress throughout Stoptober. If you want to join me you can find a range of tools and guidance on how to quit smoking during Stoptober and beyond here. 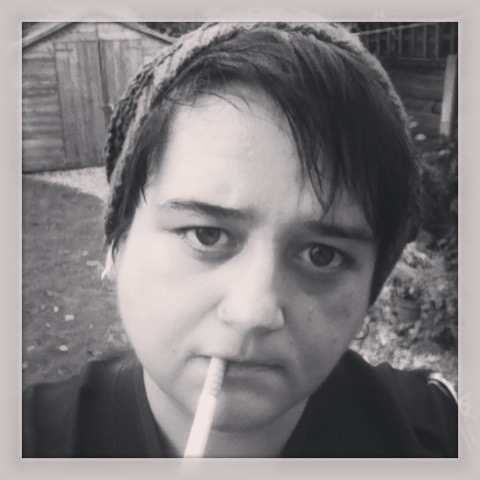 This entry was posted in Health and tagged smoking, Smoking cessation, Stoptober. Bookmark the permalink.